When battling cooking rut, go to your momma for ideas. Assuming your momma can cook. Or go to someone who can cook and trade food ideas. I got this recipe idea from mi madre. It’s so good on a winter’s day. And it’s such a good leftover to have too. Vegetables of your choosing. 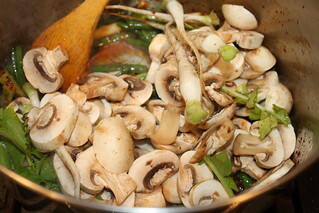 I like daikon, radish greens, mushrooms, cabbage, rapini. Not all at once necessarily, just options. Pick one or two. 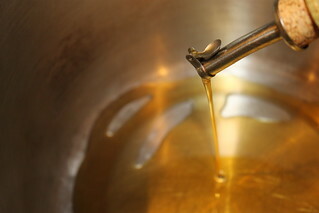 Lightly heat some sesame oil. 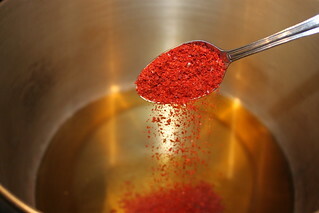 Add a tablespoon of the chili powder in there. I sometimes use a little more for extra heat. 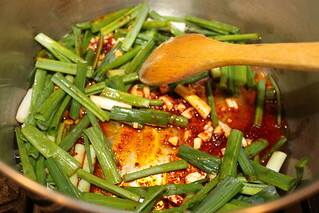 Add the scallions, garlic, and white pepper. Stir it around gently for a minute. This is your soup base. Have fun experimenting from here on out. 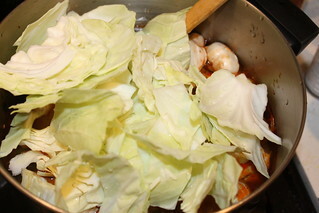 If I’m using daikon, cabbage or anything that can be cooked forever, I add that in before bringing the soup to a boil. 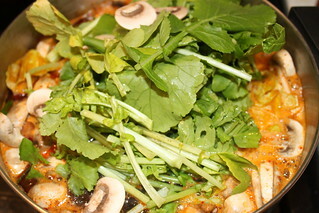 If I’m using a delicate green like spinach or rapini, I add them in after it’s already boiling. 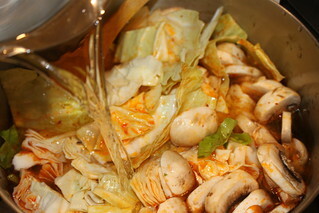 Add the seaweed (and whatever delicate greens you have) after it’s come to a boil. These are the greens from the baby radishes. Beat a few eggs. Turn the heat up high. 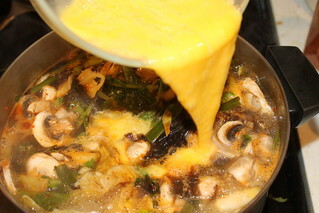 Stir the eggs in rapidly boiling water for instant cookage. After the vegetables are cooked (I’m looking at the daikon and cabbage which sometimes take a bit longer), take the soup off the heat. 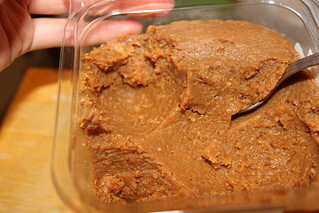 Stir in miso paste (or salt). 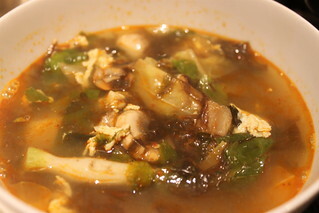 This soup doesn’t need too much seasoning because the chili powder makes it flavorful already. Serve it piping hot! It warms me right up!